US intelligence services have mapped Islamic State’s media installations producing terrorist propaganda for the internet, yet none of them have been bombed out for fear of collateral damage and the need for intelligence to monitor the jihadists’ operations. 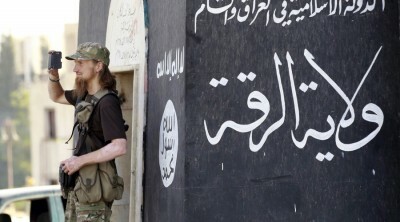 The terrorists’ media centers, which edit and compile video and written material for propaganda over the web are located in residential areas in Iraq, Libya and Syria. The whereabouts of such installations are well known and thoroughly mapped out after a months-long clandestine intelligence program, The Washington Times reports, citing anonymous sources. “Obviously, if we know where they’re producing the propaganda, we should be doing everything we can to destroy their facilities,” William McCants, a Brookings Institution scholar and former State Department senior adviser for countering violent extremism, told The Washington Times. But the Obama administration has not rushed to target these facilities with airstrikes or Hellfire missiles fired from drones. The explanation offered is not hard to plumb: innocent civilians in neighboring buildings might die as a result of an airstrike. Yet The Washington Times also mentions another declared reason for keeping the terrorists’ “propaganda bullhorn” in operation. The White House expects US intelligence to keep Islamic State (IS, former ISIS/ISIL) public relations operations under scrutiny “to learn how the Islamic State and its media enterprises operate,” The Washington Times said. So ISIS’s “digital warriors” continue to disseminate radical Islam around the world, recruiting new jihadists and radicalizing young Muslims. In the meantime, America’s counter-terrorist media efforts have little to show. The Center for Strategic Counterterrorism Communications inside the State Department created in 2011 has 69 employees busy disseminating anti-Islamic State messages in multiple languages. The same official revealed that with an annual budget of $5.5 million the center is “grossly underfunded,” claiming the critics of the interagency misunderstand the importance of the unit’s operations in the long-term perspective of fighting Islamic extremism. While US social media companies are in defensive posture, simply blocking extremist content and deleting jihadi links from their area of responsibility, the Islamists assume the offensive, learning to wage media campaigns, producing influential HD-quality video with special effects and making into page professionally designed multilingual agitprop. The jihadists are mastering the art of trolling, too. The latest extremist video issued a month ago boasts the terror acts staged in Paris and promises the US the same approach, noting parenthetically about American war veterans that returned from “victorious” campaigns in Afghanistan and Iraq, suffering from the PTSD and committing suicides by thousands. ISIS “editing suites” producing extremist videos are scattered about the Middle East countries and beyond, be it in Northern Africa or the North Caucasus. As The Washington Post reported in late November, one such media center was spotted near the Syrian city of Aleppo. A two-story building in a residential neighborhood was reportedly stuffed with high-end equipment, used Internet access through a Turkish wireless service and served as an “editorial office” for Islamic State’s Dabiq magazine and al-Furqan media channel. But the Pentagon declined to comment on The Post’s findings. The Quilliam Foundation notes that Islamic State’s “exceptionally sophisticated” information operation campaign is based on “quantity and quality” principles. “Given this scale and dedication, negative measures like censorship are bound to fail,” the report concluded.